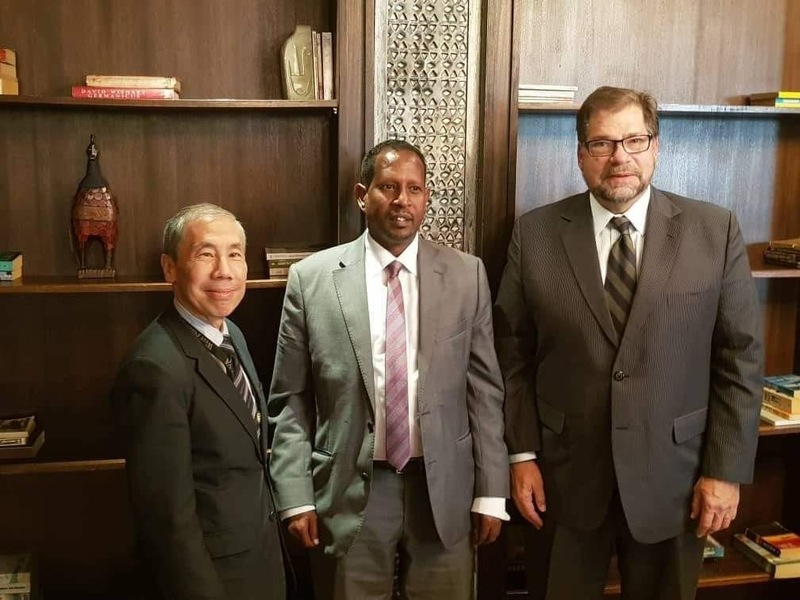 Mayor of Mogadishu, who is also the governor of Banadir Region, Honorable Abdirahman Omar Osman (Eng.Yarisow ), has met with United States` Ambassador to Somalia, Mr. Donald Y. Yamamoto and the Chief of USAID, Jeffry Bakkan in Nairobi, Kenya. 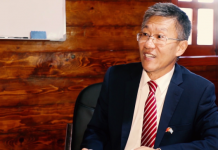 The Governor has discussed with the Ambassador, Yamamoto, on the current developments in the Region, efforts to resettle the displaced people, the challenges the region faces currently, as well as the vision laid by his administration regarding the reconstruction and transformation of economic infrastructure. 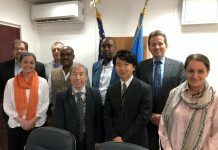 On the other side, the Ambassador has commended the administration of Banadir Region for setting developmental plans and intending to realize their goals, while pointing out how determined they are to play their role in the development, security and reviving the beauty of the City. 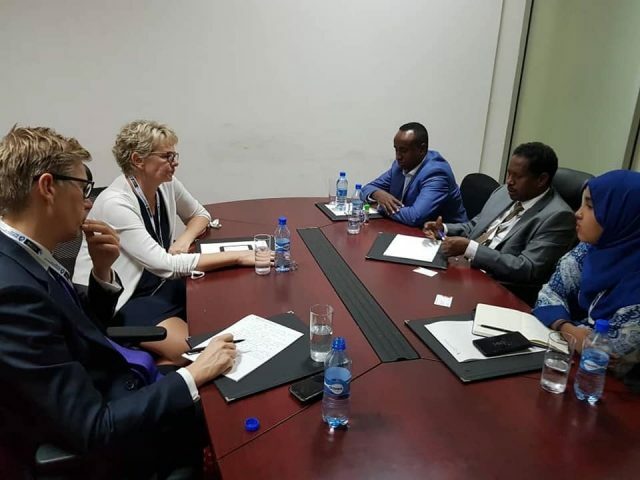 On his side, the Mayor of Mogadishu and the Chief of USAID have both discussed on ways of cooperating on the efforts to create job opportunities for the youth living in the City, as well as establishing area councils which the government is aiming to initiate. Meanwhile, the Governor has met with the Denmark Ambassador to Somalia, Mrs. Mette Knudsen with whom he discussed ways of intensifying her country`s support for Banadir Region, as well as extending their developmental projects, which they are currently implementing in the Region. The governor of Banadir Region, Honorable Abdirahman Omar Osman (Eng.Yarisow ) has arrived in Kenya for an official and duty trip, where he is holding meetings, meant to intensify the developmental programs in the city, with the leaders and officials representing the International Community, as well as Ambassadors drawn from the countries that maintain friendly relationship with Somalia. Previous articleHowlgal lagu Dilay Horjoogayaal iyo Maleeshiyaad ka tirsan Alshabaab oo laga fuliyay G/Baay.